Cozy cabins with one, two or three bedrooms are available at nearly 30 state parks. In most cases, they are located on lakes or hillsides, providing spectacular views. 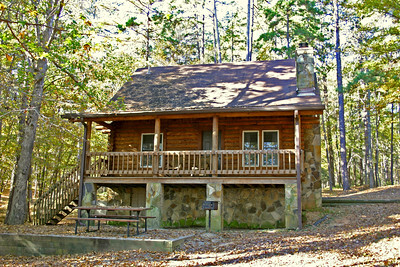 Cabins are as diverse as the parks themselves, such as the historic 1930s stone cottages at F.D. Roosevelt, the round "barrel" cottages at Unicoi and the luxurious cabins at Smithgall Woods. Most cabins are fully equipped with stoves, refrigerators, kitchen and dining utensils, bed linens, blankets and towels. All cabins have heat and air conditioning. Many cabins have televisions, screened porches or decks and wood burning fireplaces or stoves. Firewood, paper towels and dish soap are typically not provided. Rates range from around $85 to $250 per night, depending on location, season and size. 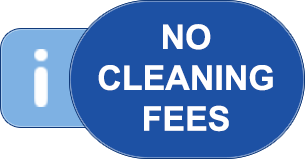 We do not charge a separate cleaning fee. 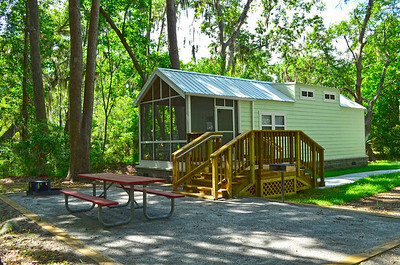 Cabins/cottages are not designed for organized groups; groups are urged to use group lodges at the parks where they are available. Cottage occupancies are not to exceed maximum recommended capacity. Furniture and supplies are not to be transported between cottages. Small "Camper Cabins" offer one master bedroom with queen bed, plus sleeping loft with one double bed and one single bed. A small bathroom provides a shower. Guests bring their own pillows, linens, towels, dishes, pots, pans, soap or any utensils they may need. A kitchen includes a microwave and coffee maker. Camper cabins come with a television, screened porch and heat/AC. Outside, visitors will find a picnic table, grill and fire ring. Pets are not allowed. One is ADA accessible. Fort Yargo’s "Adventure Cabins" are much like regular cottages, only slightly smaller. They have two bedrooms with queen beds, a sleeper sofa, one bath, a kitchen, television, screened porch and heat/AC. Linens and pillows are provided. Dishes, cooking utensils, dish soap and a coffee maker are provided. Guests bring their own toiletries and towels. Outside, visitors will find a picnic table, grill and fire ring. Cabins 8 and 15 are dog-friendly (pet fee). These new “Sportsman’s Cabins” are much like regular cottages, only slightly smaller. They have two bedrooms with one queen bed in each, a full-size sleeper sofa, one bath, kitchen, television, screened porch and heat/AC. Kitchens come with towels, potholders, dishes, pots and pans, utensils and coffee maker. Guests bring their own soap and spices. Outside, visitors will find a picnic table, grill and fire ring. Cabins 1 and 2 have the best lake boardwalk views. Cabin 3 is ADA accessible. Cabin 4 is dog-friendly (pet fee). 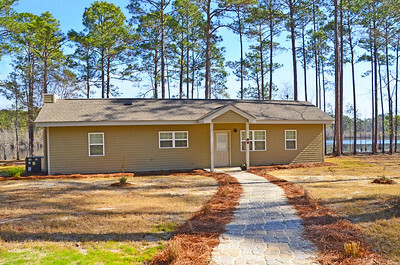 The “Fisherman’s Cabin” is a one bedroom, two-bathroom cottage located near the park’s main boat ramp. The cabin offers a master suite with a full size bed and a queen sleeper sofa in the living room. 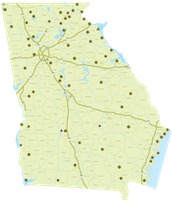 All linens and towels are provided, the kitchen is fully-equipped, and satellite television is provided. Outside is a picnic table, charcoal grill and fire ring, as well as a boat dock for guests to park their boat or fish from. This cabin is both pet-friendly (fee) and ADA accessible.